The average price for this game since released is $26.28. The game first became 50% off on May 26, 2014 at Amazon. Lowest historic price was $5.45 on Aug 11, 2018 at GamesPlanet. Cheapest we've seen Castlevania: Lords of Shadow 2 go for in over two months today at GamersGate. Rare $30 off the usual $40 (75% off). New historic low price on Castlevania: Lords of Shadow 2 via Games Planet Summer Sale. Deal ends tomorrow at around 3pm Pacific. Steam key. New price drop on Castlevania: Lords of Shadow 2 at GameStop. Today they dropped the list price from $39.99 to $9.99 (still $39.99 at most retailers) and then gave it a 75% instant discount. Previous low was $24. New low on February released Castlevania: Lords of Shadow 2. Just recently Konami dropped the list price from $59.99 to $39.99, but today GameFly's going one step further and cutting an additional 65% off, taking the price to $13.99 - the lowest seen by $6. The preorder instant savings discount has disappeared with the release of Castlevania: Lords of Shadow 2, but there's still a 25% off coupon code dropping the PC digital download price to $45. Elsewhere $60. The average price for this game since released is $12.83. The game first became 50% off on Oct 24, 2013 at Amazon. Lowest historic price was $4.69 on Aug 11, 2018 at GamesPlanet. 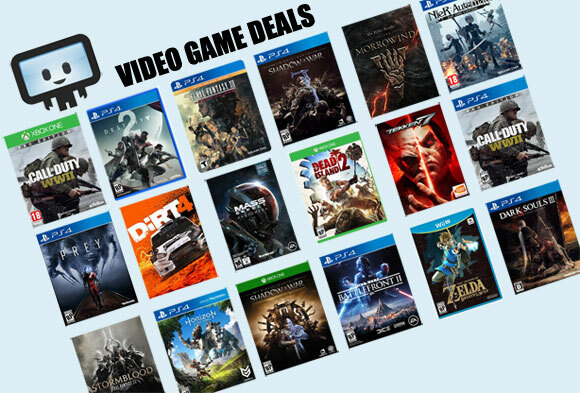 Plenty of title hitting new low pricing during this Summer Sale and Castlevania: Lord of the Shadows Ult Edition is another one such game. Beats previous low from 4 months ago by a healthy percentage. Steam key. Castlevania: Lord of the Shadows Ultimate Edition hits an all new low today in GMG's Halloween sale. A whopping 80% off the usual $30. New low on Castlevania: LotS Ultimate Edition. This is less than a third of what you would've paid a year ago for the same Steam key. Solid price for a solid game in the franchise. Lords of Shadows Ultimate Edition is only $8 from GameFly this week. This is 20% cheaper than Steam's Winter Sale and is currently the lowest price spotted since mid Dec.
Lowest ever price on Castlevania Lord of the Shadows Ultimate Edition. This beats out Amazon's Winter Sale price by a good 45%. Steam key. The average price for this game since released is $7.75. The game first became 50% off on May 26, 2014 at Amazon. Lowest historic price was $2.46 on Feb 15, 2018 at Green Man Gaming. It was only March 27th, 2014 when the Castlevania: Lords of Shadow - Mirror of Fate HD reboot released on PC. Today Amazon has the price cut in half - now only $7.49. It's the lowest we've ever seen it go for by $0.50 and is the cheapest Amazon's ever offered by $2.50. The average price for this game since released is $5.95. The game first became 50% off on Aug 22, 2014 at GameFly. Lowest historic price was $2.79 on Aug 22, 2014 at GameFly. The average price for this game since released is $24.76. The game first became 50% off on Apr 1, 2011 at GameStop. Lowest historic price was $12.99 on Jul 15, 2014 at GameFly. The average price for this game since released is $34.67. The game first became 50% off on Jun 24, 2014 at NewEgg. Lowest historic price was $9.99 on Oct 1, 2014 at GameFly. Used copies of Lords of Shadow 2 hits new lowest price as Gamefly clears out inventories. Only $10 with free shipping. Supplies are limited. Castlevania: Lords of Shadow 2 for Xbox 360 and PS3 drops to its lowest price ever at $20. Reviews are mixed, but if you're a Castlevania fan or loved the first Castlevania: Lords of Shadow, you may want to check this sequel. Best deal on Castlevania: Lords of Shadow 2 on 360 we've ever seen by $2. Gets a decent 70 Metascore and solid 8.3 user score. The average price for this game since released is $20.64. The game first became 50% off on Jan 13, 2011 at Amazon. Lowest historic price was $8.99 on Feb 26, 2013 at NewEgg. A member of the Brotherhood of Light, Gabriel protects innocent people from the supernatural. Motivated by the murder of his wife Marie, Gabriel Belmont seeks out to claim the power of the Lords of Shadow. Ultimately he intends to obtain the God Mask to bring back his murdered wife. Unlock 40 combos with the Combat Cross and combine its melee skills with the Light and Shadow magic system. You can also scale walls, rappel, and swing across gaps using the Combat Cross to solve puzzles and discover areas. Vampires and werewolves still appear in this series of Castlevania, along with new enemies like trolls, spiders, and goblins. Castlevania: Lords of Shadow is undoubtedly a great game. The beautiful waterfalls, sinister forests, and deep ravines comprise the stunningly rich environment, and the soundtrack fits well with the game. Two boss battles, Lords of Shadow and Titan battle, are very memorable. The game lasts for 15-20 hours depending on the difficulty. Taking the 7th spot in Ten Most Anticipated Games of 2010, Lords of Shadow gets 85 stars out of 100. And while most gamers and critics has only good words about this game, some have a different take; puzzles are too easy, game stages were ripoffs from other games, lacks the gothic atmosphere, or that it's now in 3D. Still, Lords of Shadow won People's Choice Award at the E3 Convention in 2010, and that's definitely something.